3 Newbridge Square is a modern, eight storey office building occupying a prime position in the heart of Swindon town centre, adjacent to the main bus station and a short walk to the railway station and town centre with all it’s associated amenities. The offices offer bright, spacious floor plates with excellent views across the town from the upper floors. 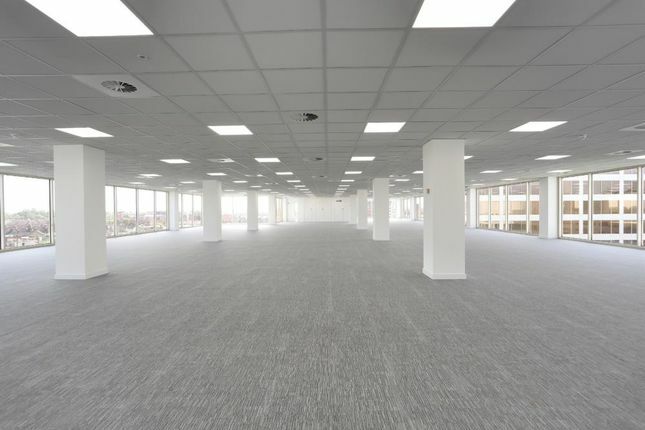 The common areas are being comprehensively refurbished to a high specification to provide meeting rooms, break-out areas and a business hub. 3 Newbridge Square is prominently located on Milford Street, approximately 2 minutes walk from Swindon train station which provides direct links with London Paddington with a journey time of approximately 55 minutes.